Welcome to Kid Scoop News! We are extremely excited to present Kid Scoop News, a magazine designed for and by our own Siouxland students. Kid Scoop News is a monthly tabloid newspaper packed with pencil-grabbing games, puzzles, brain teasers and it showcases our regional students’ writing and artwork. Along with celebrating the innovative teaching practices of our regional educators, Kid Scoop News is designed to support the current teaching curriculum by presenting a high-interest text with illustrations, charts, diagrams and activities that will excite learners of all ages. 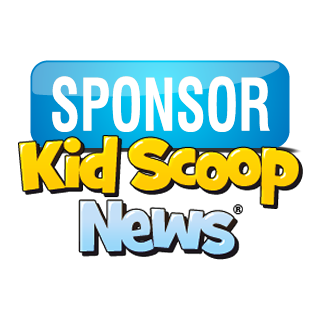 We would like to thank all of the area businesses, organizations, individuals and especially the Sioux City Journal and the Northwest AEA for their support through the funding of classroom subscriptions and the distribution of the Kid Scoop News magazines to participating schools. With more than 150 elementary schools on board and over 3,500 students, we are ready to share the writings, the art, the mindful math structures of future engineers, interviews, future dreams and photography of these students. We are off to an amazing start. What we emphasize in Kid Scoop News is the understanding and inspiration students receive from knowing what is termed “a sense of place”. Children know who they are when they know where they are from, the people of their place, the stories and history of a place and the topography. Our goal is to have these future citizens of Siouxland engaged in a learning activity that is connected to their current educational plan that supports and promotes literacy. We are all about community and without the support of the readers of Siouxland, this project would not be possible. Collectively, we are promoting lifelong literacy and enhancing the quality of literacy to transform our Siouxland students into engaged and active citizens. Kid Scoop News recognizes our area teachers as some of the most autonomous, creative and thoughtful educators anywhere. Along with administrators, parents and guardians we believe our students to continue broadening their insights about the world around them. According to the International Literacy Association, “Literacy isn’t instinctive, inherited, given or grown into.” We believe it is taught and shared by communities of educators and individuals just like all of us. Together we celebrate our Siouxland students.